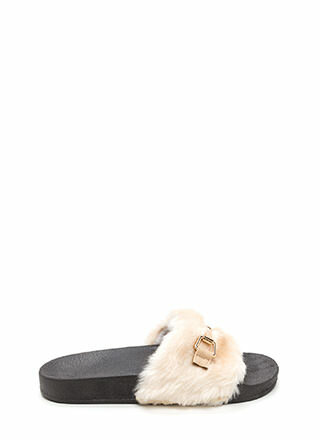 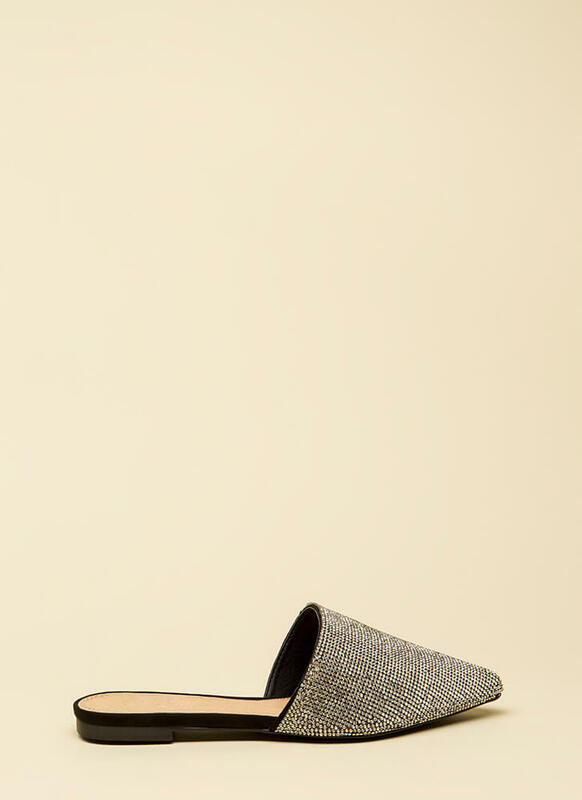 If we could slip you a message it would be to definitely get these slippers! 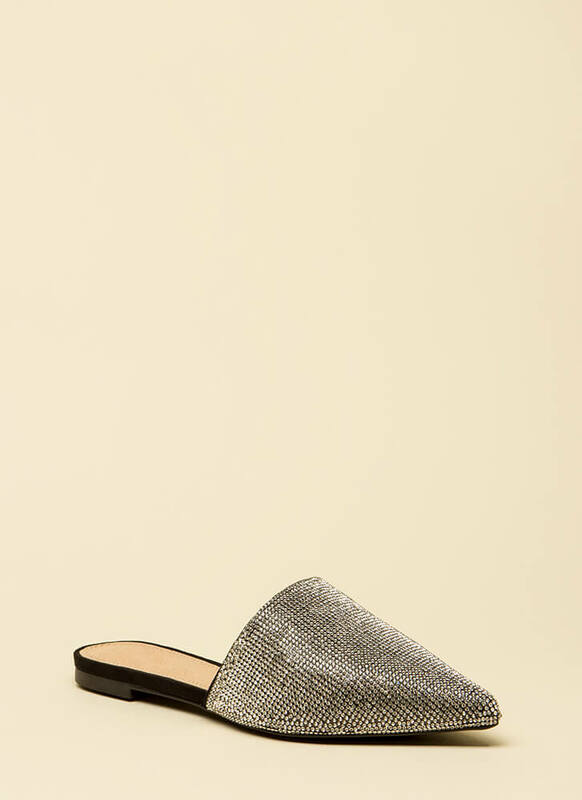 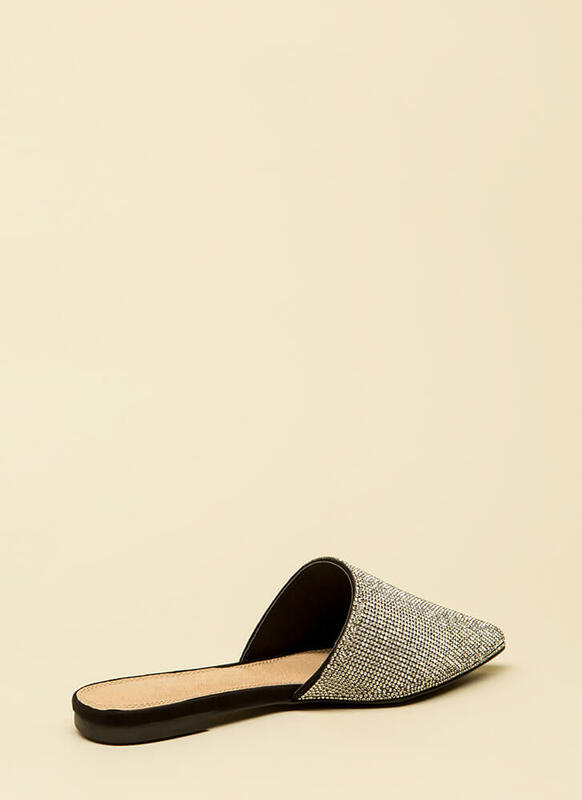 Sparkly, pointy mule flats feature a slip-on design and a wide toe panel covered in tiny rhinestones. 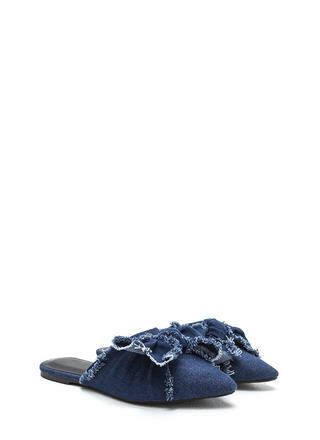 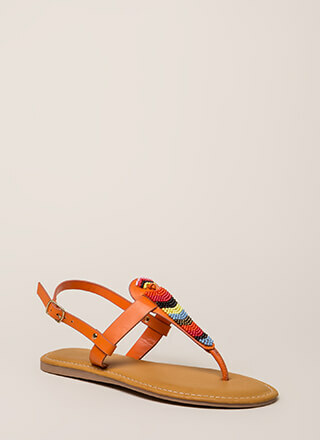 Closed-toe sandals are finished with a ridged sole and no closures.